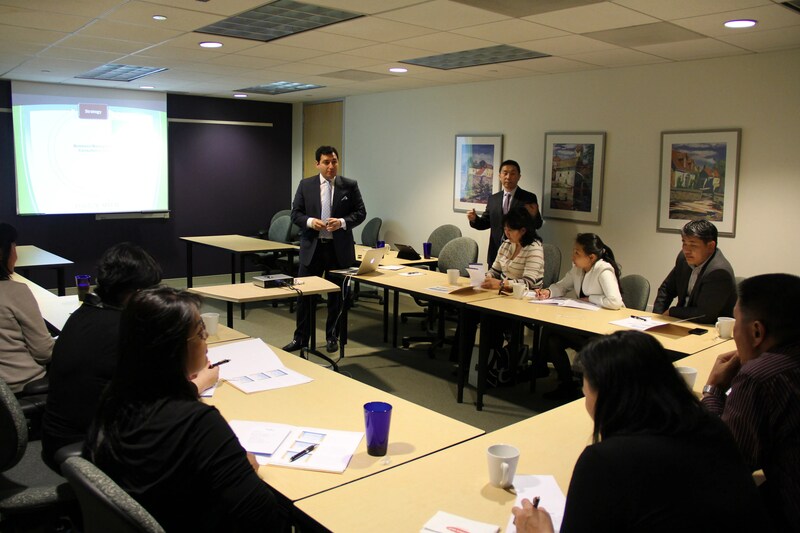 HafeziCapital had the pleasure in hosting the Mongolian National Certified Accounting Institute for the General Accepted Accounting Principles (GAAP) 2012 Seminar. The classes took place last October at HafeziCapital headquarter in Mclean, Virginia, The classes were designed to achieve a better understanding for United States, and International Accounting standards. This by invitation only event gathered CPA’s representing Fortune 50 Mongolian companies and member of the Professional Accounting Institute. Companies and governmental agency representatives included but were not limited to Mongolian Airlines, the Mongolian Nuclear Energy Agency, NIC LLC, Mongolian Private Equity firms, and heads of the regional governments within Mongolia. The classes were specifically designed to increase the understanding of the class for the new roles for CPA’s and CFO’s within the United States and Europe. Babak Hafezi, teaching a class on Business Market Entry, Legal Structures, and International Business Conditions as part of the week-long seminar. The monthly seminars are designed to bridge the gap between the United States and the up and coming “Wolf” economy of Mongolia. HafeziCapital has been very active in Mongolia and has been working with various governmental agencies and non-profits to establish stronger ties. HafeziCapital has been actively working with Mongolian companies to increase their footprint into the Asian and US markets. Such footprints include Mongolian Airline Group’s recent decision to begin direct flight from the United States in 2013, and advising government official on pro-growth business development in secondary cities. HafeziCapital has also been helping various companies set the preliminary processes for Initial Public Offering (IPO’s) or secondary offerings in exchanges such as the Hong Kong Stock Exchange and the Singapore Exchange.